The air is alive with a vibe of excitement and energy. 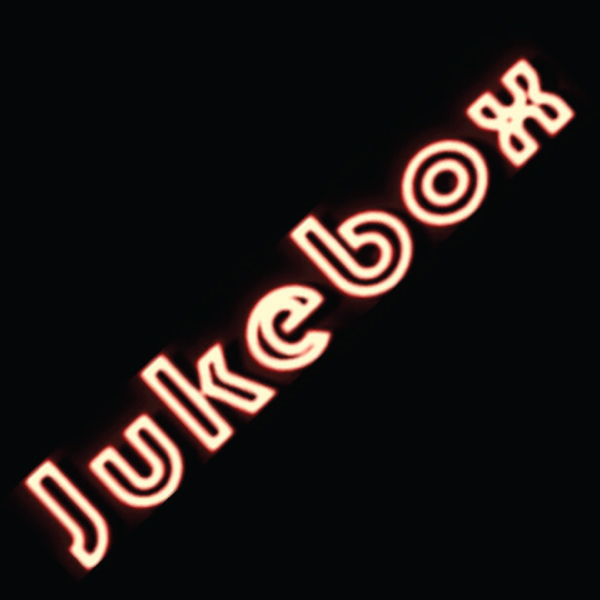 Music filled the air when I caught up with the band Jukebox at a rehersal , where I had a chance to listen in, and eventually chat with them about the band and their entertainment philosophy. Tight and fluid, the band rolls through complex arrangements and vocal harmonies of some of the most eclectic, upbeat tunes ever compiled for just one band. After a 3 hour stretch, they break for a chat and a beer. Never have I experienced a group of people like the guys from Jukebox. Or laughed as hard! Fun and unassuming, the mob of musicians that together share 75+ years of playing, recording, touring and professional music experience are very welcoming. Comprised of three (now 4!) well experienced musicians, I asked what's next and where the band is focusing. "Finally a group of guys that want to play FOR a crowd, not AT a crowd," says Dave Charles, bassist and vocalist. "When you play FOR a group of people, you are playing what they want to hear, and most importantly, make them a part of the show. We have all been in situations where you vamp, solo, vamp,solo, and so on, or just over play and noodle to impress the small group of musicians in the crowd. And that is OK, if that is what you want to do, but nobody locks-in on the crowd. We want to entertain and make people love to come see us. A party in a box. We are driven to perform for the folks that can have fun and make them dance and sing along. If not, our job is to make them WANT to do that!" "You just have to make people happy," Crash continues. "I love the song selection, but if they don't love it, you're wasting your time. Our set lists are very eclectic and all real crowd-pleasers. Alot of bands want to play what they like, and wonder why no one is dancing. They will let you know, but you gotta listen to them!" "We also want to keep everybody guessing," says Crash. " All of our songs (a list that is continually growing) are songs that everybody has heard, and have the ability to transport you to 'THAT PLACE.' You know, that place that is an instant fond memory? Rock, Funk, Sing-a-longs, dance songs. In reality, most people listen to a wide variety of music, so we have to stay sharp. And we are always adding more, as we want to stay fresh for our shows. And we want to set up the website so that the fans can pick what they want to hear." 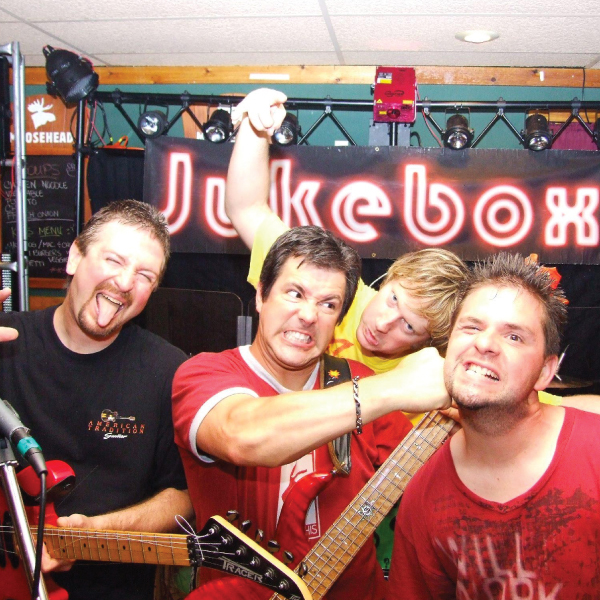 Jukebox is driven to please, with relentless interaction with the crowd, on-stage excitement, years of performing experience and that extensive songlist to keep people happy, they pull out all of the stops. They dedicate the time necessary to make a performance exciting. "We are NOT your typical band. We work hard to actually entertain people,' says Dave. "Anyone can play music, but we work towards adding that excitement and edge to our shows. All of the songs are great in their own right, but we want to have people really enjoy the music, by including them and playing them WELL, of course. That is part of the experience, and people love it. Just to be actually PART of the experience! Nobody does it anymore. Well, does it RIGHT, anyway!" ... and making people feel like they are part of something special.